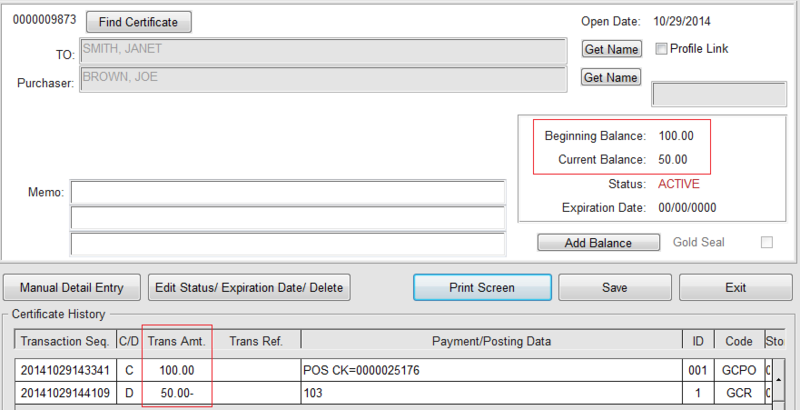 You begin on the Post Charges/Payments (Post Folio) screen as with any other payment method. The payment code is GCR. When your cursor is in the "Certificate #" field, type the certificate number or swipe the gift card. 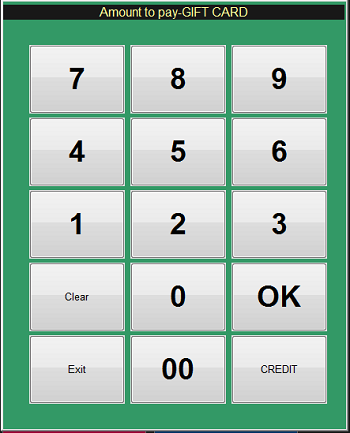 You must be in this field when you swipe the card. If the transaction is for a greater dollar amount than available funds, a message will notify you and display the available funds as shown below. You may enter the amount again for the available funds or a lesser amount. Then complete the transaction as usual. 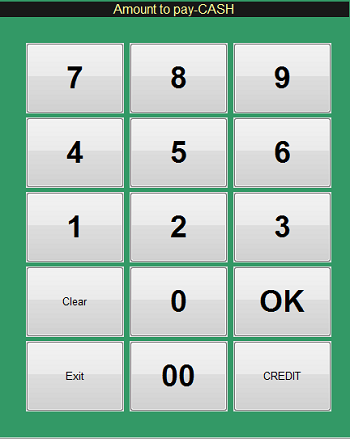 You begin on the Total screen just as with any payment method. 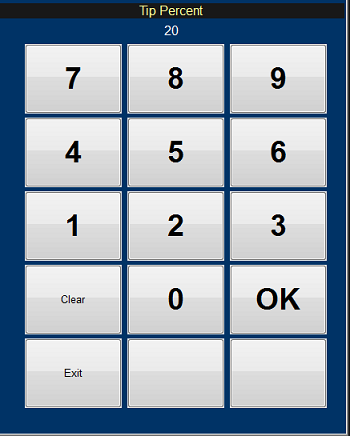 Select the GIFT CARD button as shown below. 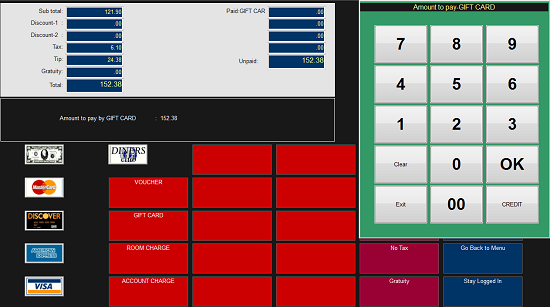 A keyboard will display, allowing you to enter the gift card number manually or look it by cardholder name. When you see the blue keyboard screen - this is when you swipe the gift card if it is present. A popup will display available funds remaining. You may enter a tip if you wish, as with any payment method. You will be prompted to enter the amount to pay by GIFT CARD. 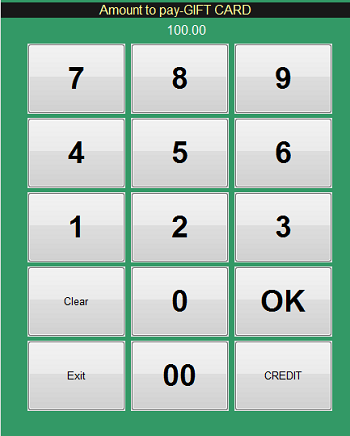 If the amount entered is greater than available funds, a message will display, as shown below. You may enter the amount to pay to GIFT CARD again, keeping it at or below the amount of available funds. You may apply another payment method for the remaining amount due on the ticket or check or you may apply a second gift card if available. 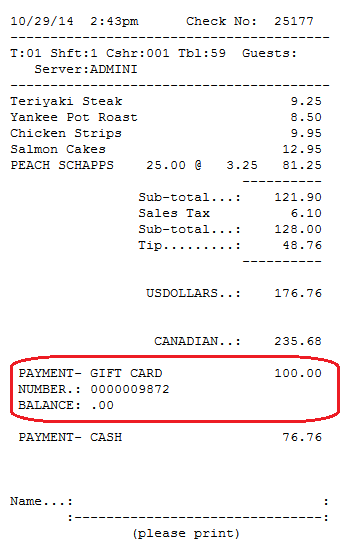 When the check has closed, the guest receipt will show the amount paid by the gift card and any other payment methods, as well as the gift card number. This information also prints on the Cashier Report. See below. 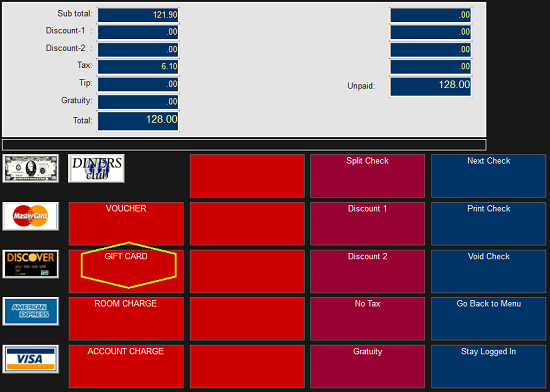 In Execu/Suite PMS you may select GIFT CARDS to view the details of any gift card or certificate. You also can print summary and detail reports.